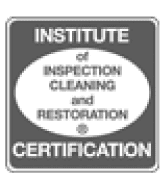 Mold Removal You Can Trust! 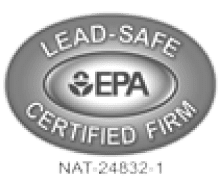 KC Mold Guys takes pride in delivering fast and reliable mold remediation, mold testing, and mold inspection services to our clients in Kansas and Missouri. You can rely on us to provide you with a wide range of services to ensure that your property remains free from mold. Keeping honesty and integrity in mind, we make sure that each customer receives adequate care and that our job is done right the first time. You can rely on us for quick and efficient mold removal, remediation, inspection, and testing for your residential or commercial property. We aim to provide our mold expertise to our customers in a professional manner. Call us at 816-256-2499 to schedule a free, in-home quote. Need a quote ASAP and short on time? No need to schedule an appointment. Send photos of your mold problem and get a free estimate emailed to you within 1 business day. Kansas City, Topeka, Wichita, Lawrence, Hays, Salina, Hutchinson, Junction City, Manhattan, Overland Park, Emporia, Pittsburg, Russell, Ellis, WaKeeney, Wilson, Lucas, Lincoln (also known as Lincoln Center), Olathe, Atchison, and Holton. Kansas City, Platte City, Branson, Cameron, Maryville, Chillicothe, Brookfield, Savannah, Lee's Summit, Gladstone, Platte Woods, Warrensburg, Clinton, Jefferson City, Sedalia, Boonville, Higginsville, Joplin, Springfield, Columbia, St. Joseph, and Rock Port. Mike came out, saw that our problem was minor and sent a crew over to clean the mold. He gave me great advice how to prevent our problem in the future. I had been having nightmares for weeks before thinking that this was a MAJOR problem. I feel confident that Mike told me the right information. This is an honest company that won't tell you that you have a problem when you don't. I needed a second opinion on some minor mold in a basement after being told I needed to spend 1000's on demo and mold remediation when it was just some minor surface mold probably due to inadequate air circulation. Mike came out and actually tested moisture levels in the walls etc and it all checked out fine. If we ever do have any water/mold problems, I won't be calling anybody else. Mike came out and inspected my place before I purchased it. He did a great job in explaining to me what he found. He also did a great job of getting the results back in time for me to close on my house. I can't even begin. From the very beginning, Mike laid it down flat on on a quick and productive phone call. We kept in contact, he let me know EVERYTHING to expect. The best part of it was, is that because I was sure that there was surface mold and it was visible, they gave me a free estimate instead of forcing me to pay for $800 of lab work like other places. I was panicking though. I live in an old farm house and I was sure that my attic was just INFESTED with mold. He and his cohort Scott literally toured the ENTIRE house, in EVERY INCH, EVERY corner with some sort of water reader thing, and sourced the problem as some sort of leak issue and not so much a mold issue at all. They helped us see what was mold and what wasn't, because after everything I read online everything that was black was mold to me, and it wasn't. When they say they don't use fear tactics, they sure don't. They really, REALLY are affordable. The job they have to do has ran in the $8,000 range from other people, and I won't say what the price is, but when I heard the quote I almost passed out with relief. These people know their stuff, HANDS DOWN. With this being an old farmhouse I was worried that small things I saw were foundation issues. They helped put my mind at ease. I thought that my whole north side was crawling with deadly black mold. Nope. Just natural outdoor mold and moss that can easily be power washed off. They traced my biggest breathing problem to the dust, an unclean HVAC system and just old carpeting. They did find traces of mold throughout the house, but nothing like I was fearing. They were both great to work with. Mike arrived ON time. I just can't say enough good things about this company. Thank you Mike and Scott for putting my family's minds at ease. We look forward to our project with you! I promptly received a response email from Mike Troyer. I was pleasantly surprised that he informed me he would be happy to help with the problem, and that because the area of mold was so small, if I felt comfortable with the task I could save the money and do it myself. He provided his number and stated to call him if I wanted to discuss the process. Mike was extremely friendly and helpful! He gave me very detailed information about the tools I would need and the steps I would need to take. He expertly answered all of my questions and seemed more than happy to take the time out of his day to talk. It made my day to encounter such a honest and helpful company. Because of Mike I was able to not only save money, but also confidently, safely, and successfully remove the area of mold myself! Mike, Rebecca and team were great. Fast inspection response for our issue. Clear estimates with details. Immediate appointment setup to remediate the issue. Crew was professional, courteous and did a great job! Thank you all! Great experience. Mike Troyer did an excellent job. They are on time, dependable and very reasonable. Did not try to force us to do more than we needed or could afford. Thanks for a job well done! Highly recommend Mike Troyer! His expertise is evident and puts a homeowner at ease. He responds right away and worked us into the schedule quickly! We were very please with the service provided by Mike Troyer and his team at KC Mold Guys. They were able to give an estimate the same day I called and complete the work the next day. They were courteous and left the workspace remarkably clean. Thank you to their team in making this less stressful for us! I called Mike at KC Mold Guys and he came to check the mold the next day. He did a quick inspection and told us it was not something to worry about (it was not mold), gave us instructions how to clean the area, and charged us nothing. Other companies charge even to look at the mold, and Mike drove to our house on a cold, snowy day, shared his information, and did not charge anything. I first contacted Zipco for mold removal (they were recommended by Farm Bureau). Zipco gave an estimate of $24,000, I nearly had a coronary! I then talked to Mike Troyer, which I found on Yelp and they did it for $7895, which is a tremendous difference. KC Mold Guys did a very good job, they replaced moldy sheet rock and did all the rest. They don't tape or mud the sheet rock, but I'm really happy. The technicians were on time, friendly, professional and very informative. I felt very comfortable having them in my home. They worked quickly and efficiently and I would recommend them to my friends and family.